Dharmendra with one of the houses he helped rebuild in Bhalche. Dharmendra Mandal is a Build Change Site Engineer working in the Bhalche Village Development Committee (VDC) of Nuwakot district. Bhalche was one of the most heavily earthquake-affected VDCs in Nuwakot district. As of early 2018, over 1,000 homeowners from Bhalche are receiving technical assistance from Build Change in partnership with AmCross and Nepal Red Cross Society to reconstruct their homes after the earthquake. Homeowners and field staff in Bhalche face many challenges in focusing on safe reconstruction. Mountainous topography, scattered settlements, and limited, seasonal road access add an extra level of difficulty to rebuilding safely in the Bhalche area. 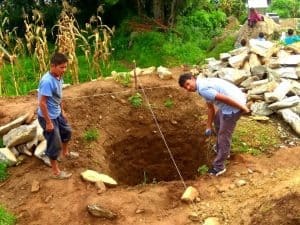 In order to deliver optimal technical assistance to remote communities, and meet the needs of earthquake-affected homeowners, Build Change Site Engineers and Builder Trainers from the local community live within the community. As a result, they maximize time spent on-site with homeowners, supervising and supporting construction as well as collecting vital field data rather than wasting it traveling to and from the site. 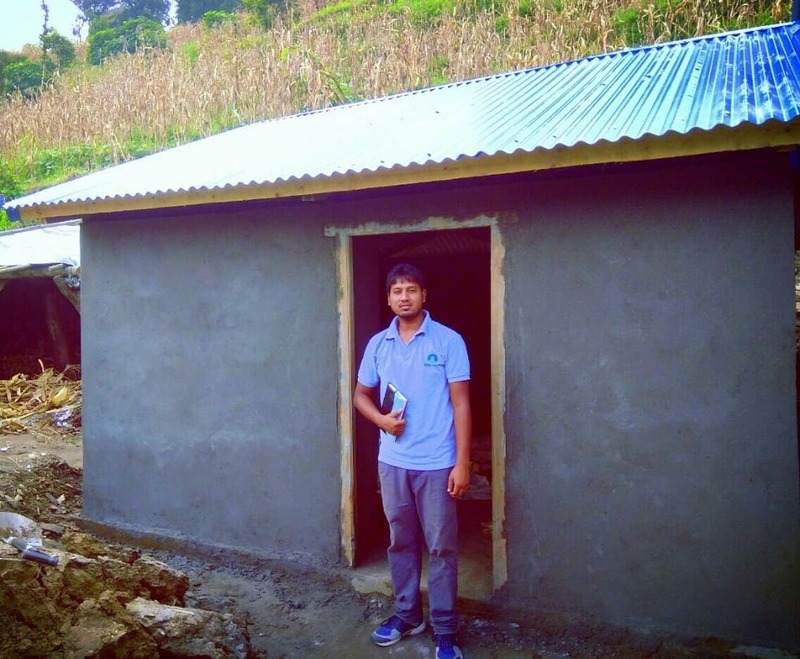 At work in Bhalche, Dharmendra performs daily site updates, provides house estimations and delivers technical support and training to homeowners and builders on earthquake resistant technologies. Apart from his on-site technical responsibilities, Dharmendra coordinates with local partners, government engineers and the rest of the team to effectively carry out reconstruction activities. Dharmendra at work in Bhalche, Nepal. A big THANK YOU to Dharmendra and all of our hardworking field teams for their contribution to the Nepal reconstruction and we wish them all the best in their future endeavors!